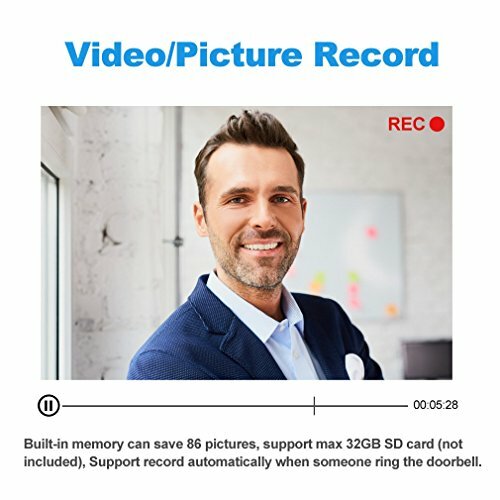 Support pictures/video record, up to 32GB SD card (Not Included),Build-in Memory can save 86 pictures. 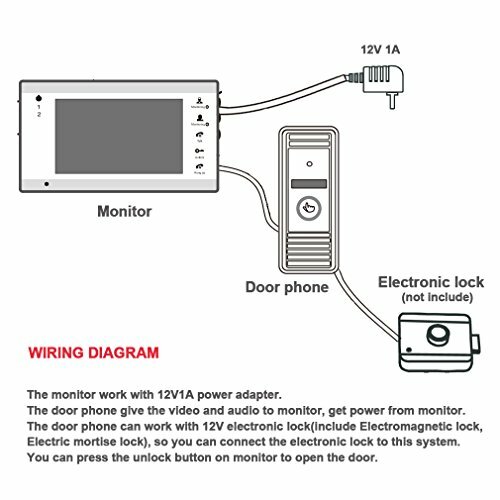 Outdoor doobell camera:1/3'' COMS,3.6mm lens,1200TVL,IR day/night vision,Metal material&waterproof. 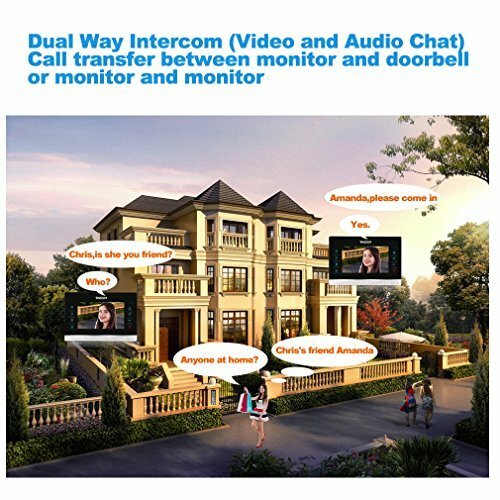 Support call transfer between monitor and doorbell,or monitor with another monitor in another room,downstairs or upstairs. 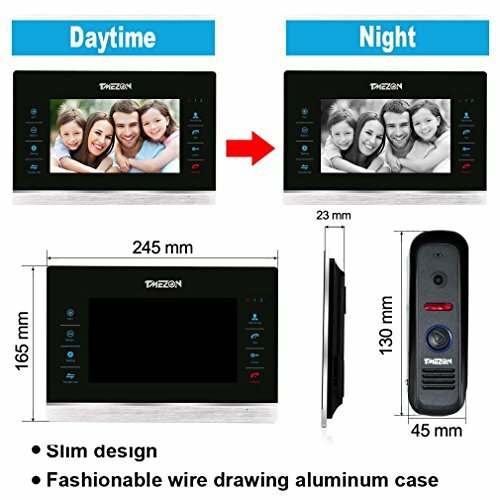 Built-in Memory can save 86 pictures,support max 32GB SD card(Not Included),Optional video or pictures when alarming. 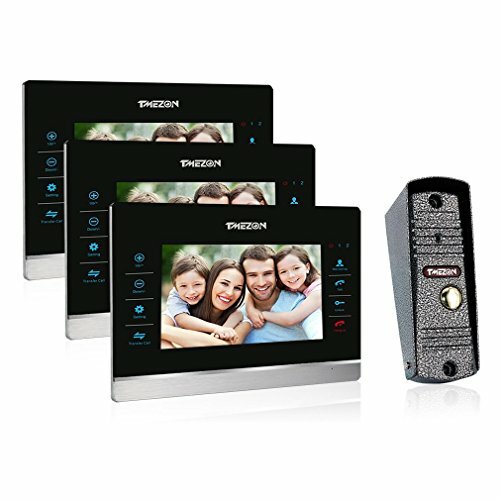 IR LED offset lighting can obtain better evening viewing,the IR sensor will automatically switch to work day or night. 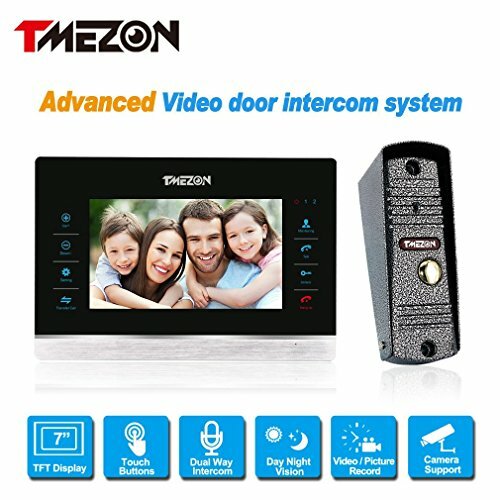 Support connect another 2 cctv cameras to give you better monitor and protect you home. 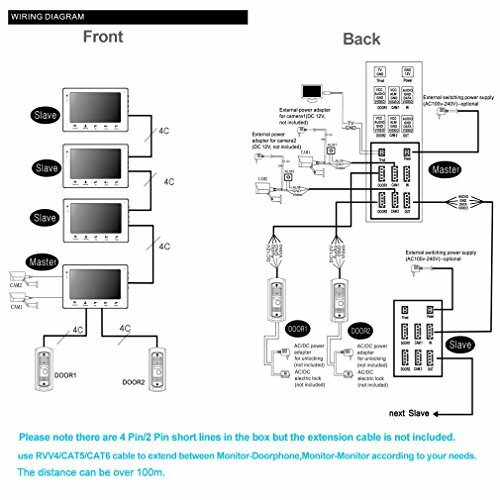 use RVV4/CAT5/CAT6 cable to connect between Monitor-Camera,Monitor-Monitor according to your needs.